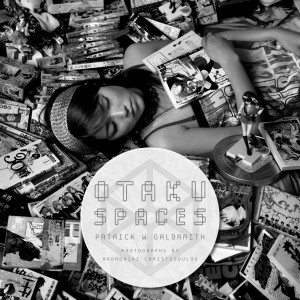 Matt Alt interviews popular author, academic, and super-fan Patrick W. Galbraith on the key controversies in otaku culture and his new book, Otaku Spaces. Buy on Amazon Most academics write for other academics and keep their knowledge within academic institutions. Thankfully, Patrick W. Galbraith has never subscribed to those unwritten rules, contributing quite prolifically to the popular literature on his subject of choice — Japanese otaku culture — while finishing his PhD at the University of Tokyo and now working on another Doctorate at Duke University. His 2009 The Otaku Encyclopedia: An Insider’s Guide to the Subculture of Cool Japan worked to formally organize the key terms and key ideas inside the famed Japanese “nerd” subculture. Now his new book Otaku Spaces from Chin Music Press deepens and personalizes that knowledge through interviews with and photographs of a wide range of passionate collectors. We talked with Galbraith over email to learn more about working on the book and to settle a few key debates within the otaku community — including whether 21st century “moe otaku” are continuous or a break from the original 1980s subculture originators. For your new book Otaku Spaces, you decided to interview actual otaku rather than just comment on them. Do you feel like there is any actual value in this? I was struck by how few of them were able to articulate why they did what they did. I sensed the passion, but it almost came across as a sort of fetishism. I never expected the people introduced in the book to be able to explain why they’re so into something. It’s always unfair to ask fans to be reflexive in self-absent situations or when they lose themselves in the object of affection. This is the fan setup, which is usually played for laughs. Affective attachments never really translate well into rational thought and logical explanations. Nonetheless, I think that there are multiple reasons why we should interview otaku — mostly as an act of intervention. The discourse on otaku has been almost entirely framed by the mass media in Japan, which deals in easily recognizable stereotypes. We oscillate between “good” and “bad” otaku — bad being serial killer Miyazaki Tsutomu and good being 2ch folk hero Densha Otoko. Both of these are media constructs. There’s the otaku panic versus the otaku boom, the irredeemable male pervert versus the redeemable consuming male. These images serve the interests of people other than otaku. And it’s so schizophrenic! One moment, everyone is a little bit otaku, and the next otaku are the most aberrant and horrifying outsiders. Media personality Nakagawa Shōko is allowed to be a “otadol” (otaku idol) on a variety show, which is followed by a retrospective on Miyazaki Tsutomu, the “otaku killer.” This is the situation as I found it while working on the book in Tokyo in 2008. So it occurred to me that otaku are far too often talked about instead of talked to, and when they are talked about, it is usually in naïve behavioral and psychological terms. They are either the assumed context for textual readings of manga and anime or are themselves read like an open book. I thought, what if there was a book that instead put otaku in dialogue with themselves and others? I felt that the best way to intervene in the otaku discourse was to focus on individuals. Not just to take a photo of someone’s room and talk over it, but allow individuals to present themselves and their spaces as they pleased. To let them take control of the narrative in long interviews and take control of the space in portraits. To have them in their element and let them interact with the objects and the camera as they saw fit. Thanks to this format, I hope that Otaku Spaces challenges stereotypes about otaku — in at least four ways. First, these individuals are allowed to talk in the interviews directly about the otaku discourse and place themselves within and against it. Second, in the portraits, the stereotypes become too obvious to ignore. These individuals are aware of what people are saying about otaku both inside and outside Japan — hugging pillows as a “social phenomenon,” for example — and they played with and performed stereotypes. They were able to overturn things by laughing at expectations and those who buy into them. This leads me to my fourth and final point: We don’t know what the term “otaku” really means. The term is used generally and trivially on the one hand, but is used in very specific and meaningful ways on the other. Because we have only had models such as Miyazaki Tsutomu and Densha Otoko — and maybe also “elite” fans and “public” otaku such as former Gainax head Okada Toshio — there have been few opportunities to reflect on what otaku means to us. We just see otaku and think, that person is or is not like me — end of story. In Otaku Spaces, we meet 20 individuals who either identify as otaku or were introduced as otaku by others. Men and women of different ages with different hobbies and interests, all collected together into the same space of “otaku.” What makes one person an otaku and not another? How much of the judgment is theirs, yours and mine? The interviews are a great way to complicate the otaku image. Someone told me that one of the interviewees, Ōno-san, is not an otaku because he collects calculators. 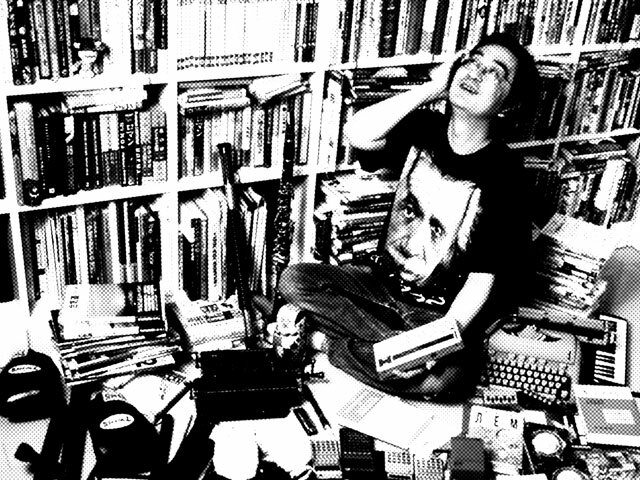 Ōno-san is a sci-fi aficionado who would likely be categorized as a first or second generation otaku, which is to say the same generation as Okada Toshio. But someone didn’t see that in him and questioned his inclusion in the book. The question for me, then, is who counts as an otaku, when and why? This is the debate that Otaku Spaces opens up in its pages. I was particularly interested by the inclusion of the “underground” collector Mr. Watanabe in the book, a man who collects memorabilia from serial killers, racist organizations like the KKK, and religious cults. He doesn’t exactly fit my stereotype of an otaku. What led you to include him alongside cosplayers, doll collectors, and Gundam kit builders? Maybe he doesn’t fit your stereotype of an otaku, but to some people he is the stereotype. The person who introduced us to Watanabe-san told me that he was the epitome of the “scary” type of otaku. As a loner who collected “junk” that no one else understands, he fit the classic image of an otaku, which was likely shaped by the “Miyazaki Incident” (the highly publicized arrest of Miyazaki Tsutomu and debate about the state of Japanese society and youth). Certain parts of Watanabe-san’s multi-room collection did visually resemble the famous police photo of Miyazaki Tsutomu’s room. Note that in the interview Watanabe-san denies being an otaku, which he associates with consuming popular manga and anime. He says that such things are too “normal” for him, and he got bored with them as a kid. Do you think that an American guy who collects racist paraphernalia can also be considered a harmless otaku? First of all, whether or not a person, otaku or otherwise, is or isn’t harmless has to do with individual personality and circumstances. Let’s not jump straight to generalizations or provocative juxtapositions. Second, I am not really concerned with deciding whether or not someone is or isn’t an “otaku.” This is not about determining authenticity or providing more accurate definitions. I feel that Watanabe-san belongs in the book because he was introduced to us as an otaku. He does not recognize himself as such, and perhaps neither do we, but Watanabe-san is nonetheless located in a time and place where he can be identified as an otaku. That is to say in Tokyo in the late 2000s. This indicates a subtext and context to otaku that we would be remiss to ignore. Given the whole “Cool Japan” and “otaku boom” thing in the 2000s, Watanabe-san perhaps represents a return of the repressed, a sort of unwelcome and inconvenient “otaku” of the past appearing in the present. Otaku experts such as Okada Toshio describe otaku as perpetual outsiders, but is that really the case anymore? We live in a era when Japanese leaders consider video games and anime to be top export properties. I deeply respect Okada Toshio, but I have to disagree with his “otaku are dead” stance. What if instead of as outsiders we looked at otaku as insiders, at least of a fashion? Rensselaer Polytechnic Institute PhD Lawrence Eng has argued that otaku are “reluctant insiders,” or those who are part of the majority, mainstream, or middle class but feel alienated by their very inclusion in that larger group. They thus engage in unanticipated consumption and appropriation of media and technology to actively become a minority, or to find a place on the margins. Eng is talking most specifically about otaku in the United States, who, in the early days of the nascent anime fandom, consumed across geographical, generational, and gender/genre boundaries. I can see that in my own experience, growing up obsessed with anime in the pre-Internet era of the 1980s. My friends and I were so off the radar that we weren’t even a subculture. I love Eng’s conceptualization, too. And I think that we can also apply it to Japan, especially when talking about men consuming media and material perceived to be for or targeting kids and young girls. If we look at the original articles on otaku written by Nakamori Akio — translated into English and published on this very website (translation here) — we see that those men were called otaku in the early 1980s. Here we have a discourse of infantilizing and feminizing not only because of a alignment of consumer demographics (adult men with children and girls), but also because of the perceived “failure” of otaku to become adult men. In a similar way, fujoshi, or “rotten girls,” consume media and material meant for young boys, appropriating established male characters and transgressively imagining sexual encounters among them. Isn’t the label a reflection of a perceived “failure” to be in (re)productive relationships with men? That is what AERA journalist Sugiura Yumiko argues, anyway. These are stereotypes, but they point us to a logic that operates behind the otaku label. It has to do with the choice of objects in relation to the person, the ways that the objects are engaged with in private, and how these attachments communicate or are performed with and for others in public. When these relations with objects are perceived to be “inappropriate” in part or in full, the person is usually labeled an otaku. Meiji University’s Morikawa Ka’ichirō was right when he said that otaku are on a “vector towards dame (no good).” But, as Okada Toshio replied to him, otaku don’t necessarily choose things because they are “bad,” but rather the things that they choose are identified as “bad” by others. This is really starting to sound like fetishism now. Well, let’s try a sociological approach before we get into psychoanalysis. National University of Singapore’s Kam Thiam Huat conducted interviews with Japanese university students who did not consider themselves otaku (i.e., considered themselves “normal”). He asked for their impressions of otaku, which were rather negative, and tried to zero in on the “common sense” (jōshiki) that otaku were perceived to be lacking. To put this another way, Kam is interested in the logic behind otaku labeling, and from his interviews identifies four major discourses: detachment from reality, inability to communicate, failed gender and minor interests. For Kam’s informants, otaku are those who indulge in consumption and play that detaches them from “reality,” or roles and responsibilities at home, school, and work. 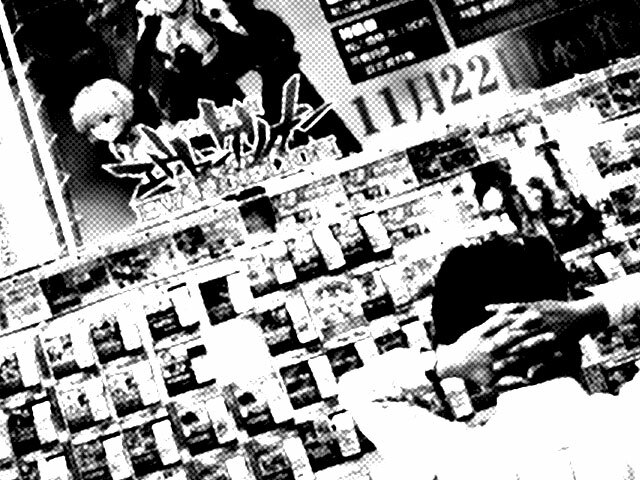 Otaku are unable or unwilling to relate to others as a result of indulgences in certain consumption and play activities. Among the people Kam interviewed, otaku were identified as men, specifically men who do not meet the social standards of masculinity or consume and play in ways that are inappropriate for men or appropriate only for women. (I suggest that we open this up from men to a general question of gender roles and expectations, which then allows us to discuss female otaku and fujoshi.) Finally, otaku were described as people who do not follow mainstream patterns of consumption and play. They consume what is unpopular or unknown. Like a good sociologist, Kam codifies a set of “rules” that govern the “common sense” of consumption and play in contemporary Japan, and acknowledges that they only represent the thinking of a group of university students in Japan in the mid-2000s. But it is interesting that in the midst of the otaku boom when otaku were supposed to be “cool,” they were not for these non-otaku university students. Even if we don’t want to label otaku, we can see the truth of Kam’s “rules,” or the logic of the labeling, in Japan and elsewhere, even today. If we take only one thing away from Kam’s very interesting study, let it be that for many in Japan otaku are those who consume or play in uncommon ways. They take their engagements beyond the limits of common sense, acceptability or normativity, to what is considered the extreme or excessive. In order to get a grip on the logic of the otaku label, and how it relates to specific people and practices, let’s take your example of video games. Yes, electronic entertainment is a massive, global market that implicates almost everyone from a young age. Playing Super Mario Bros. isn’t in and of itself “otaku” behavior. But what about someone who continues to play? Who has played it so many times that he or she can clear it blindfolded, posts time trials online, or has played every game and can talk endlessly about them? This reflects a different level of engagement and such a person might identify or be identified as an otaku. It’s a matter of intensity and duration. And pride. What about someone who handicaps him or her self — who plays “masochistically,” as scholar Kijima Yoshimasa puts it — to get more value out of the game? For example, beating a game with one quarter or without continuing. Or mastering a crappy, glitchy game like Sega’s Fist of the North Star, sharing the experience with others and becoming a champion at Tokyo Ranking Fighters in Nakano? Even though this falls into the broad category of gaming, we recognize otaku behavior, right? It is Kijima’s term. He means that people handicap themselves when playing a game, which requires that they play more often and purposefully to develop skills. This amounts to playing so long and hard that it becomes work, or even torture. I think that some of us can recall an experience where playing a game becomes agonizing, but at the same time pleasurable. In Kijima’s example of Fist of the North Star, the glitches represent patterns to memorize through a process of trial and error. It’s about finding pleasure in unusual ways, and taking the play activity underground. Casual players see Fist of the North Star, think that its just see a crappy game, and move on. To get back to how Kam’s insights about otaku labeling might apply to gaming, think about someone who gets so into an RPG — better yet, an MMORPG — that they hole up in their room and miss school or work. Such a person has lost control, allowing the game to take over and impact his or her life, which is something that he or she laughs about with friends. A new Final Fantasy game? Oh, there goes my social life! Again there is a masochism to this self-parody. Many people seem to consider devoted players like this to be otaku. What about someone playing a bishōjo game? Most people would say that such a person is an otaku, more so if he is so into Fujisaki Shiori (Tokimeki Memorial) or Anegasaki Nene (LovePlus) that he had an intimate gathering of friends to marry the fictional character. Is this the same as a kid obsessing over, say, Pokemon? That is considered to be normal, right? But what if an adult male told you that he was into Pokemon or he showed up at a Pokemon TCG tournament? What if he was up all night playing the interactive My Little Pony: Friendship is Magic game online? The uncomfortable proximity between children and adults, even when it reflects the trend of collapsing consumer demographics together (kids getting older sooner, adult children, gender ambiguity), might cause some to call such a man an otaku. I am really just taking Kam’s findings and applying them to gaming. None of what I have said is absolutely or necessarily “true.” I just want to point out that we should not be too quick to dismiss otaku as an empty word when it does, in fact, seem to operate with a predictable logic. The word is significant to people who are into manga, anime, and games, and to people who observe them. The word is made significant, given meaning, in one’s life and in everyday interactions. Such a statement reflects my preference for an anthropological approach, as compared to a sociological one. You discuss the “gaze” as being integral to being an otaku — that openly showing ones tastes and interests publicly so as to cement personal identity is key to the lifestyle. Certain people you interviewed seemed to promote their relationships with two-dimensional characters or dolls as a healthy thing, even going so far as to worry about “upsetting” their dolls by picking a favorite for you. How much of this is real, and how much of this is a posture? In otaku culture, overstating one’s desires, connections, and experiences is a lot of times just for laughs, such as the “my wife” phenomenon among male otaku or the “impregnation by voice” phenomenon among female otaku who are obsessed with voice actors. It is a way to strike up and enliven conversation about one’s preferences and passions, which are affirmed by others. It’s just something that female fans of voice actors, and sometimes singers, say. If they are made to go weak at the knees, swoon, or burst with moe at the sound of someone’s voice, they might express this by saying “my ears are pregnant” (mimi ga ninshin shita). It makes sense, I guess, as the sound pierces deep into their ears and leaves a bit of itself there to grow into a love child. That would be the character image burning itself into their brains. Anyway, otaku become known as a certain type of otaku or one with a taste for certain things, images and characters, genres and narratives. This is about as deep as “identity” goes in otaku culture. Self here is performed with characters, media/material and others. There is a lot of subversive potential in “playing with one’s self,” as McGill professor Thomas LaMarre puts it, but I think that most otaku are just out to have some fun, talk about what they like, and make friends. I guess what I’m getting at is, is it possible to be an otaku without having an audience? Publicizing it seems to be a big part of the experience, particularly for younger otaku. I see what you mean. It does seems that otaku are becoming more public and performative in their interactions with favorite characters from manga, anime, and games. Cosplay, itasha cars, anime tattoos and shirts, a room filled with anime goods and so on are ways to express one’s interests, tastes and orientations, and to relate to an imagined self, others, and media/material. We see performances of private connections to characters, which make those connections public. Intimacy is affirmed by others watching and the self who looks back on the performance. Often there is a component of mediation, recording, and transmission. Otaku are totally wired and seem to enjoy working through “layers” of connections. There are so many layers to anime, manga, and games. When someone says that he or she likes a character, they can be referring to the setting and narrative events that define the character, the character design, the character type, the voice (actor or actress), the creator, producer, studio, the medium in which the character exists, the world that allows the character to exist and is accessed through it, one’s own interactions with the character, the community surrounding it and interactions with it, the way one feels in relation to it, and so on. This is why I love the Japanese term “layers” (reiyā), which started as an abbreviation of “cosplayer” (kosupureiyā). I like the way that it foregrounds the layers of fictionality involved in costume play. As Saitō Tamaki tells us, working through these layers, connections, and ambiguities is part of the pleasure for otaku. The expanding relationship with a character occurs across multiple media and material forms, across space and time and across bodies, one’s own and those of others. The other day I was reading an “otakuness test” (as an assignment in Japanese class, no less) and I was struck by how it didn’t match my expectations of measuring otakuness. It didn’t try to test knowledge of anime or jargon (in fact, anime wasn’t even mentioned, only dōjin and Comiket). Most questions stayed agnostic of specific hobbies, and had to do instead with “excess” behavior: Do you spend too much money in your hobbies? Do you talk without stopping about things you like? Do you dive too deeply in your interests? An otaku seemed to be someone who violated social expectations of demeanor as well as appearance (being smelly, dirty, sweaty, someone you’d want to steer away from in the street). I wonder if the overstating isn’t a way of responding to this sort of “nail that sticks out” pressure (in this as in other subcultures). Of course, that was just your average informal Internet quiz, not a sociological study. But I thought it fit with Patrick’s analysis. Marxy, why don’t you interview a few gyaru? I have, and a lot of my understanding of the current subculture is from interviewing the editor-in-chief of Koakuma Ageha. The difference between gyaru and otaku though is that gyaru “grow up” and stop being gyaru. This is especially true for the original kogyaru.